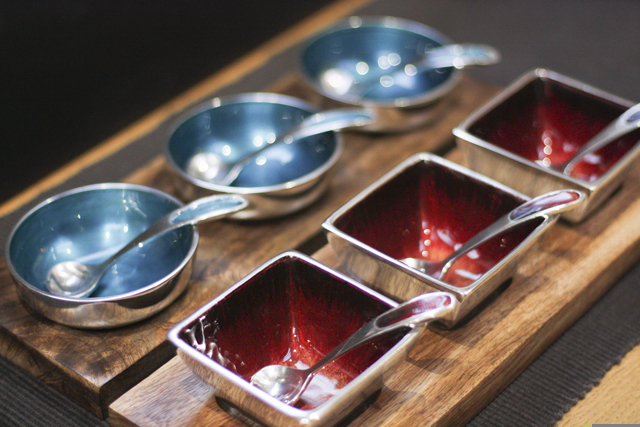 Stunning sets of three pickle dishes and dip dishes, complete with fabulous matching spoons and a carry tray, some on a wood tray. 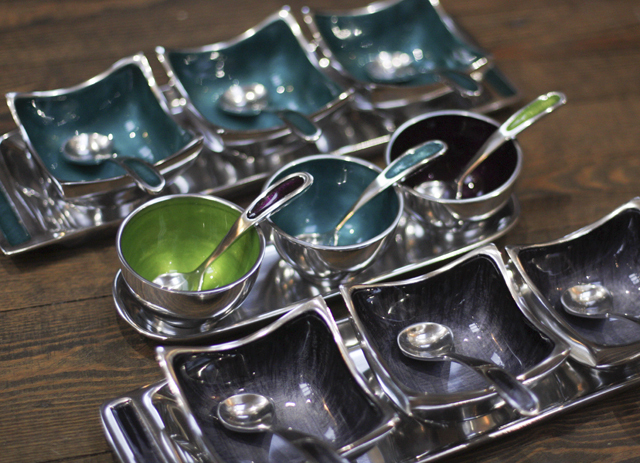 Made from recycled aluminium which has been finished with beautiful iridescent enamels. 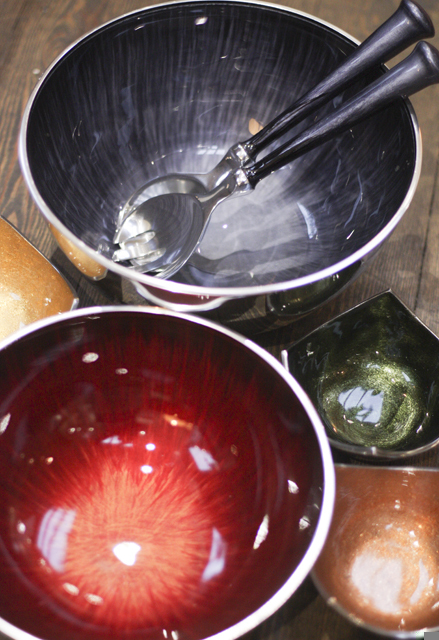 In this range we also stock small nibble bowls, serving dishes and salad servers. This range is fairly traded from India. The recycled aluminium used for our aluminium tableware saves up to 90% carbon emissions compared to the production of new aluminium. The aluminium is cast then highly polished before the colour is added. The product is then hand finished with clear enamel and given one final polish. The supplier in Northern India ensures their workforce earns a fair wage and that men and women are paid equally for the same job. Sick pay, holiday pay and time off for festivals are all provided. Paid breaks are included in the working day and the minimum age for employment is 18. Recycled materials are used in packages and waste products are disposed of carefully.